Q: Can I get a multiple day ticket? A: Yes, on your way out make sure you ask at the gates to get your FREE return pass. Q: How do I get to the event? A: The event is held at the Toowoomba Showgrounds, Glenvale Road, Toowoomba, Queensland, 4350. For more information visit the Getting to the Event page. Q: Is there parking available at the event? A: Yes, to find out more about parking click here. Q: Is there an entry cost? A: Yes, adults $12, Seniors Card $10, children 16 and under are free with an adult. Q: How do I get a copy of the Event Guide? A: The 2019 Event Guide will be distributed within the Toowoomba Region prior to the Event. Extra copies will be available at the gate entrance. Q: Is there a list of exhibitors? 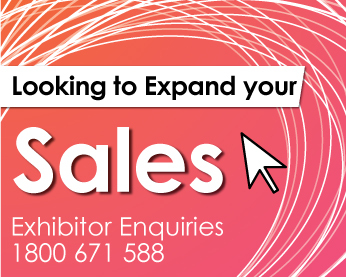 A: Yes, the list of exhibitors is updated regularly, click here to view the list. Q: Is there food available at the event? A: Yes there is a number of different food stalls at the event. Q: Are pets allowed at the event? A: No dogs or other animals are allowed within the event (excepting registered guide, hearing or assistance dogs). For details on conditions of entry, click here. Q. Can I Smoke at the event? A. No. Smoking (inlcuding e-cigarettes) inside the event precinct or within 10 metres of the event entrances is prohibited.